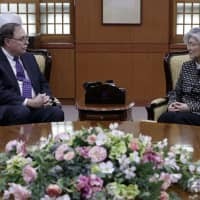 SEOUL - South Korea’s presidential Blue House pushed back Wednesday against comments by U.S. President Donald Trump that suggested Seoul had agreed to pay $500 million more toward maintaining U.S. troops in the country. Trump said at a Cabinet meeting in Washington on Tuesday that Seoul had agreed to pay $500 million more as part of an agreement sharing the cost of keeping roughly 28,500 American troops stationed in South Korea. 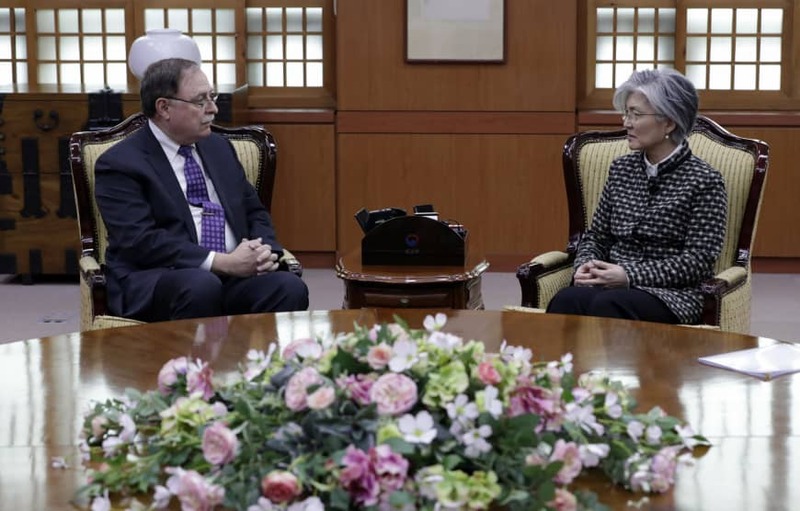 Under the previous agreement — which lapsed amid disagreements in December — South Korea contributed 960 billion won ($857 million) in 2018. Kim Eui-kyeom, a spokesman for the presidential Blue House in Seoul, said when asked about Trump’s $500 million figure that it “shouldn’t be taken as a fait accompli.” Kim said the figure had been one of Washington’s demands during the negotiations. The agreement signed on Sunday must still be approved by South Korea’s National Assembly. Kim said it was valid for only one year, with the possibility of an extension for another year if both sides agreed.